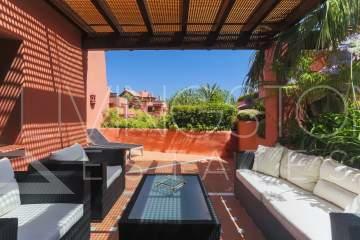 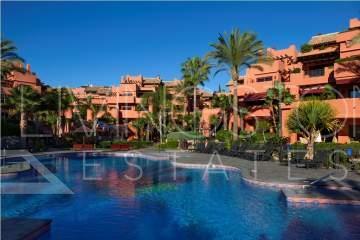 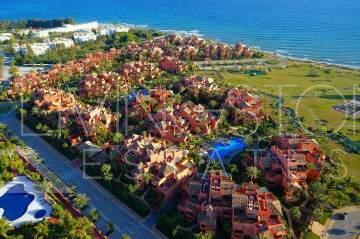 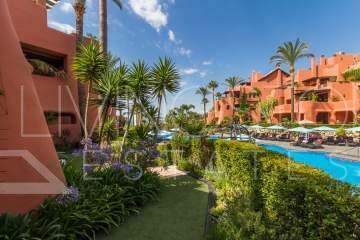 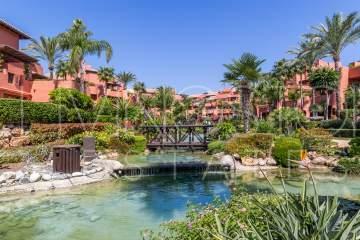 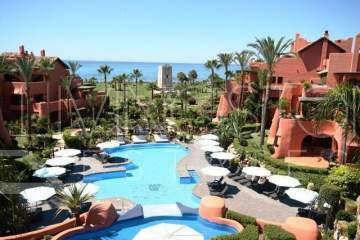 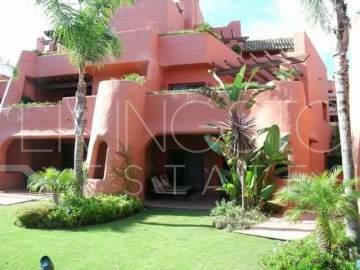 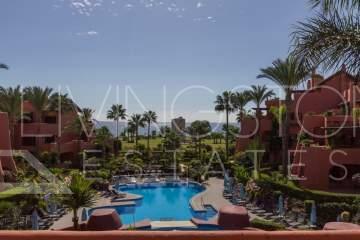 Torre Bermeja is an elite beachfront development situated on Estepona's New Golden Mile. 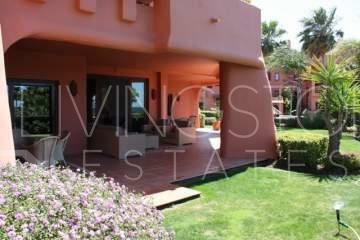 Situated in a privileged position the stunning views of the Mediterranean Sea and the Sierra Bermeja mountain range (where the urbanization takes its name from) encompass this Desirable community. 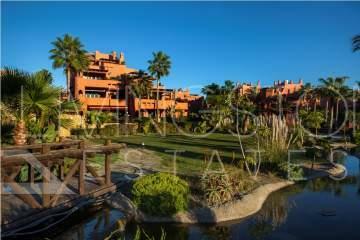 The exclusive development of Torre Bermeja combines Andalucian styled architecture on the outside with sleek modern design on the inside. 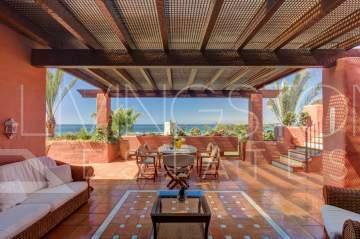 With bright spacious rooms, light marble flooring and elegant bathrooms the emphasis is very much on luxury living. 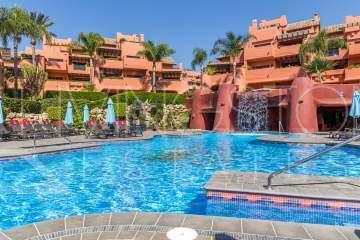 Torre Bermeja is renowned for its five star facilities suchlike as 24 hour security, two outdoor swimming pools, a heated indoor swimming pool, two gymnasiums, a sauna, Wi-Fi, and is conveniently located with direct access to the beach. 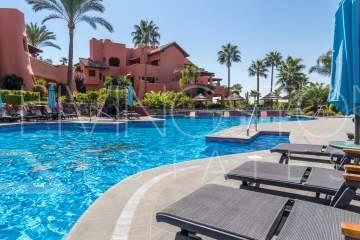 Torre Bermeja offers a variety of one, two or three bedroom apartments and penthouses, all built to the highest standards, encompassing the high end luxury lifestyle That owners and holiday makers Expect from an exquisite urbanization like this.